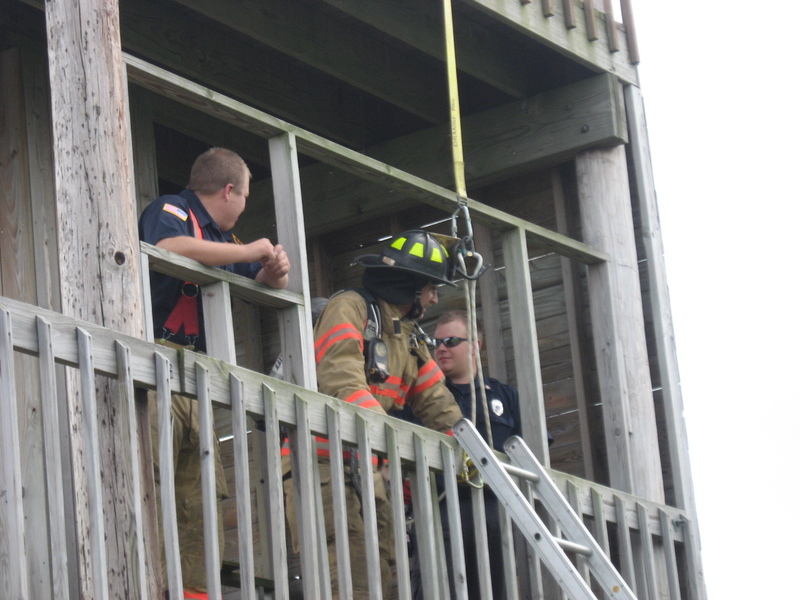 Scriba Firefighters prepare to demonstrate a ladder bailout at a previous open house. On September 11 2010 from 10:00 AM to 3:00 PM, Scriba Volunteer Fire Department Located at 5618 State Route 104 approximately 2 miles east of Oswego will be holding their annual Fire Safety Open House. The department will have displays and demonstrations pertaining to the work the firefighters do for the residents of the town of Scriba. Of note we will have on display our new Engine #3 which was delivered during the winter. It has enhanced capabilities including all wheel drive and a class A foam system to enhance the protection of the townshipâ€™s lake shore properties. Handouts and packets will be available for adults and children. There will also be a chance for the children to put out a simulated fire with a real fire hose. The county safety trailer as well as the School Bus Safety Team Bus and The American Red Cross Disaster Response Team will be participating. Refreshments will be available throughout the day. We are looking forward so seeing everyone here.